The battle for the biggest, most powerful, and most luxurious American truck has been raging for decades between the big three – Ram, Chevrolet, and Ford. Nowadays the battles don’t only extend to the truck itself, but the features as well. The latest feature to take the limelight? A seemingly innocuous one: the tailgate. 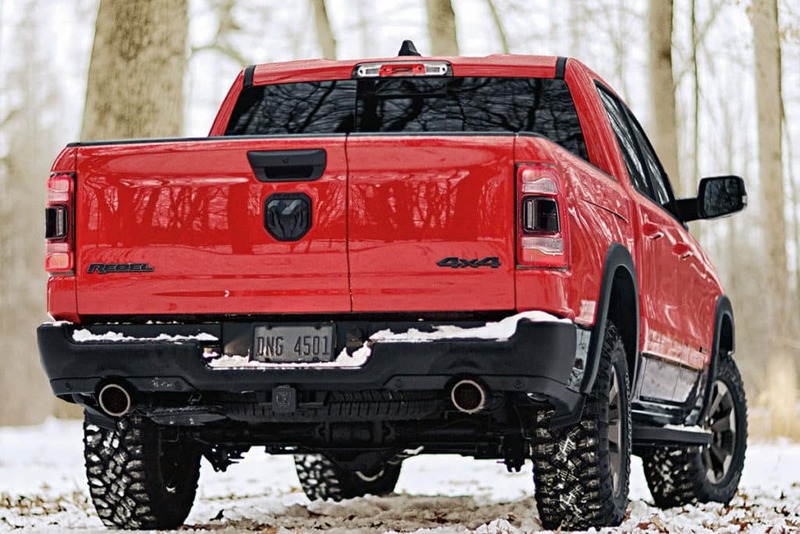 Ram was the latest truck brand to enter the competition as the brand debuted its all-new Multifunction Tailgate a few days prior to the launch of the 2019 Chicago Auto Show. What Does the All-new Multifunction Tailgate do? Ram designed their latest multifunction tailgate to work like any other traditional tailgate, with one exception – the tailgate also offers a 60-40 split swing-away functionality. The tailgate offers remote-release and the drop-down features of the standard Ram 1500 tailgate as well, but the coolest feature of the newest tailgate are the four configurations it offers. Like we mentioned already, buyers can open the tailgate flat like any common tailgate, but now they can also only have the left or right door open only, or both doors open at the same time. Other than offering innovative design, the latest tailgate allows owners to get much closer to the gear in the truck bed without being forced to reach over the tailgate at a distance. This is especially useful for when truck owners have to get creative when loading or unloading heavy or bulky items. With a great truck, comes great responsibility and an added bonus of this new tailgate is that it makes forklift loading into the truck bed a breeze. Additionally, Ram will also offer a new kick-down retractable step to accompany the new tailgate design. Mounted under the rear bumper, the step allows for easy entry and exit of the truck bed when both of the tailgate doors are open. The Multifunction Tailgate offers a load rating of 2,000 pounds. That’s pretty impressive when we take into consideration the many parts that make up the tailgate – and that the truck’s overall load capacity is about 2,300 pounds. The new tailgate will be available in the second quarter of 2019 and can be added to any 2019 Ram 1500 trim as an upgrade. Those who opt to buy it will see their total run up an additional $995. The optional retractable center step will cost another $295. Explore the all-new 2019 Ram 1500 at University Dodge. To get behind the wheel of Motor Trend’s Truck of the Year schedule your test drive today! Think this latest feature is as useful as it looks? Share your thoughts with us on University Dodge social media.